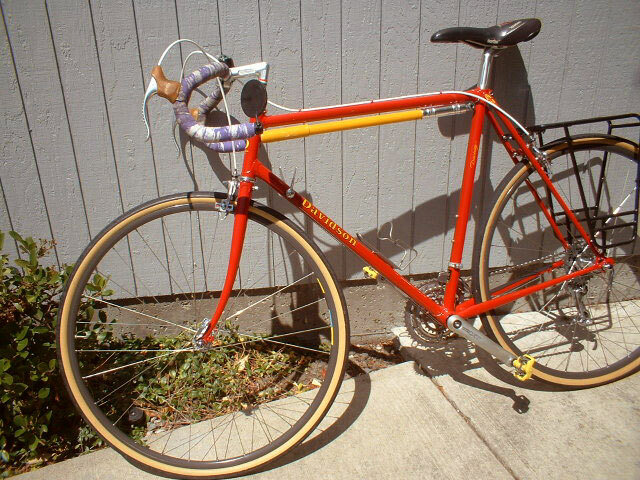 My Davidson Discovery built in 1980's in Seattle, WA at Elliott Bay cycles 2116 Western Ave, Seattle, WA 98121.I set it up with a mixture of components; Campagnolo rally Rear Derailleur, Shimino XT Cranketset, Bruce Gordon Rear Rack, Campagnolo Record Side Pull brakes. 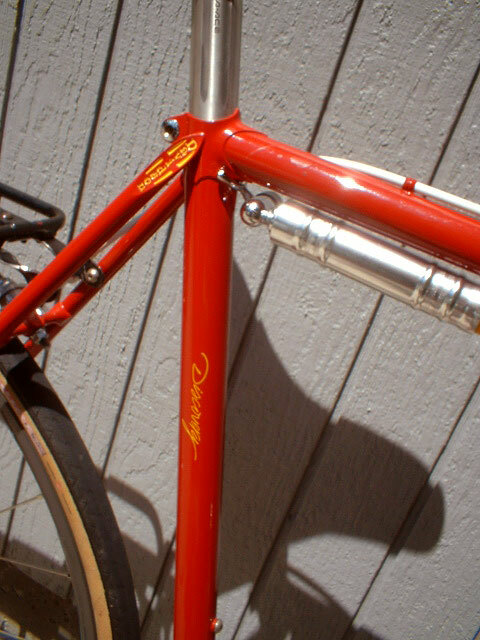 etc.. What I had mounted on my other touring bicycle, a Caylor. 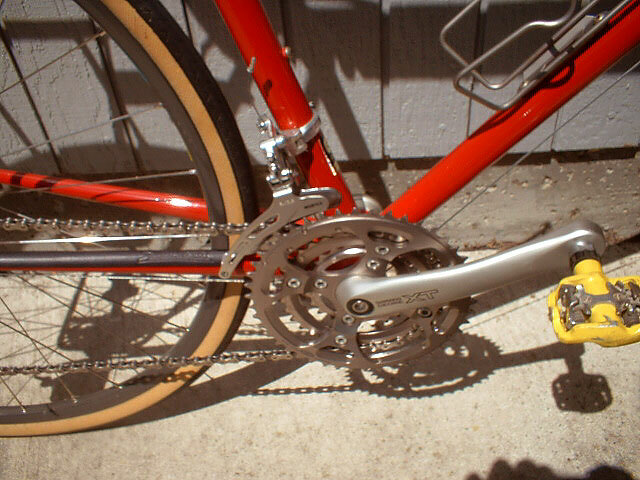 I like the lovely steady ride and great cornering. 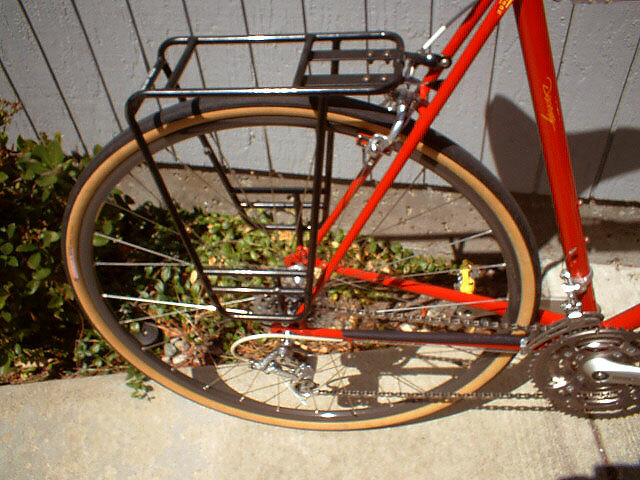 A tour multi purpose tourer. 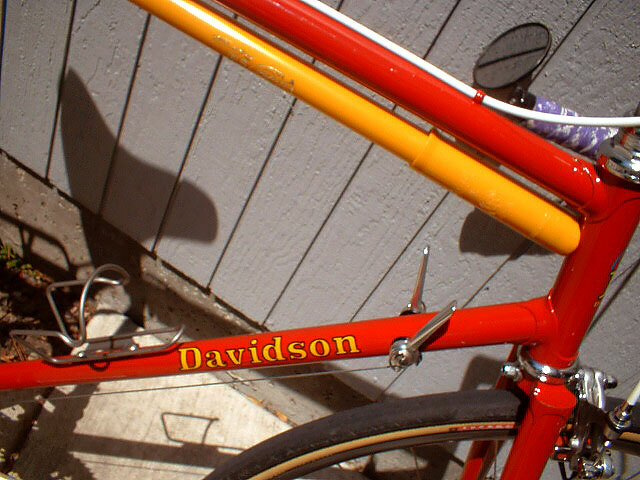 The Davidson frame workmanship is subpere.